Summer arrives and we leave our space in the city in order to head for either the countryside or the beach. Our summer house turns out to be the ideal place for a perfect getaway, that way of escaping and relaxing we have been looking forward to for several months. Hence, not only location but also its interior layout is very important, so that our stay in that location can have a positive impact on both our character and mood. The space design is able to affect our peace and quiet and our inner peace. The rooms must be serene and perfectly oriented, because of both the heat entering through them and the use of daylight and the reinforcement of the views. The choice of the materials used for beach houses is also vital, since this type of residential housing entails special requirements which influence both the quality and durability. Either in the countryside or on the beach, a summer house is a place for relaxation. Practicality, functionality and spaciousness are words which take us to the relaxation which a holiday entails, by means of clear and wide open spaces as well as being open to the outside. The furniture becomes simple and practical, reduced to the bare minimum where bright light colours dominate. On one hand, colour tones such as white or grey provide relaxation and peace, whilst on the other hand, colder colours like the range of blues remind us of the freshness of the sea. Therefore, the minimalist or subtly romantic decoration, turns out to be the most suitable one, by enveloping lounges, living rooms and even kitchens or bathrooms. A white kitchen, functional and full of avant-garde, results in being the ideal choice for a summer house, with the guarantee and quality offered by state-of-the-art materials such as the KRION® Solid Surface mineral compact. Done by PORCELANOSA Grupo, designing the interior of a summer house is a simple task, by means of its endless elegant designs for flooring and walls, kitchens or bathrooms. 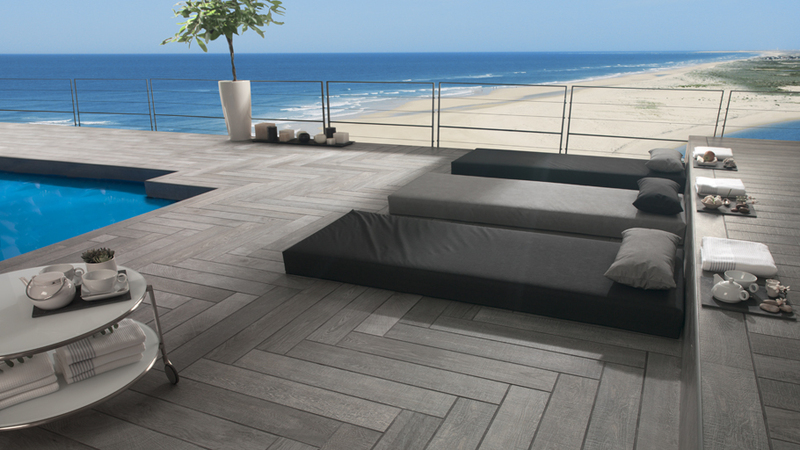 With regard to flooring and wall tiles, porcelain turns out to be the ideal choice to be installed in a summer house. Regardless of how the extreme cold, heat or sea humidity affect it, both the flooring and ceramic wall tiles ensure fine and excellent aesthetics and a high resistance. 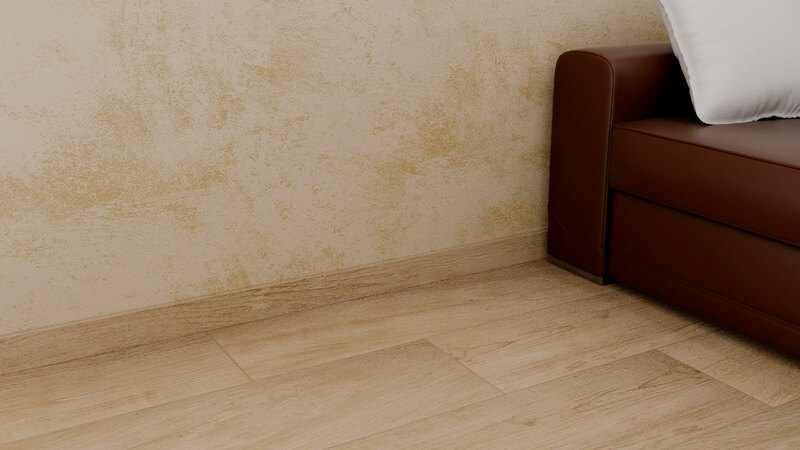 The Ceramic parquet collections by Porcelanosa, Oxford or Ascot, with the additional warm provided by the wood, or the Barbados and Newport interior wall tiles by Porcelanosa and Venis, respectively, are some of the style choices for an optimal 100% interior design. Furthermore, they have easy-to-clean and low-maintenance properties. The terraces and exterior spaces are the most outstanding aspect in a summer house. Ranging from taking a nap in a cooler part of the house to having a good read or having a great time with both family and friends. Regardless of what kind of leisure time we go for, the atmosphere must be cosy and pleasant, and perfectly arranged. On the other hand, as it is a high-demanding space exposed to unfavourable weather conditions, it must be manufactured with top-quality materials, which remain unaffected over the years and are humidity-resistant thanks to low-porosity properties. 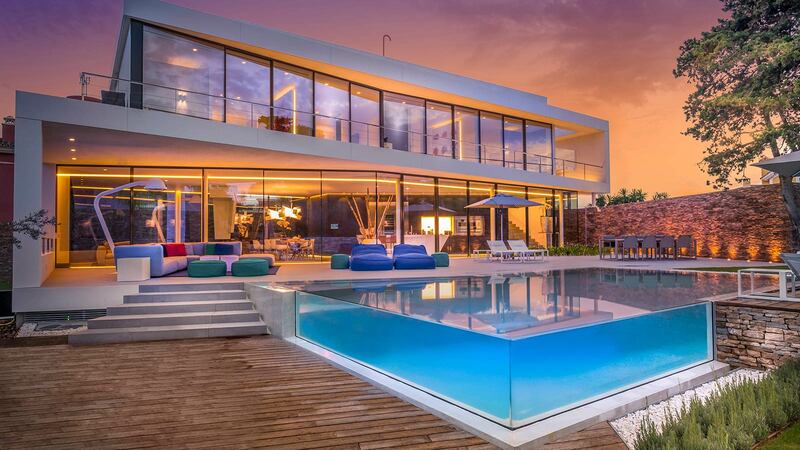 In the event of a swimming-pool, the choice must be even more specific, thus, ensuring an exterior project perfectly adapted to our needs. 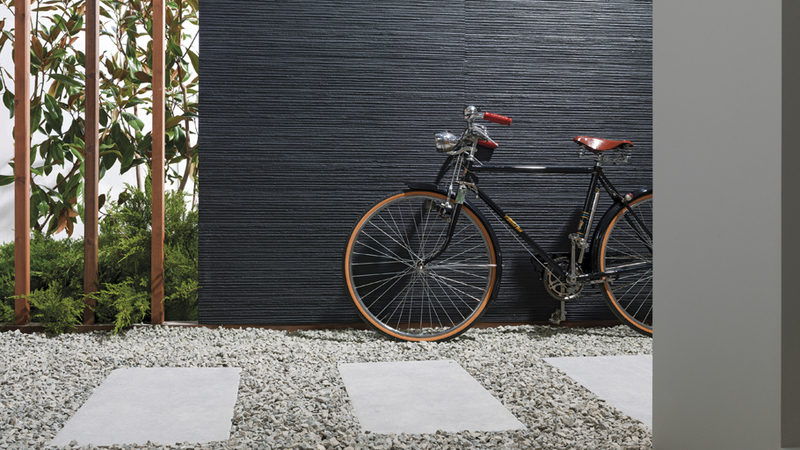 Apart from the aforementioned Oxford and Ascot, ideal for both interiors and exteriors, Porcelanosa offers other ceramic floor tiles suitable for terraces, such as Dover, Arizona or Samoa. One of the other choices could be the Barcelona models, which with the very same technical features, imitate the hydraulic tiles with its design. 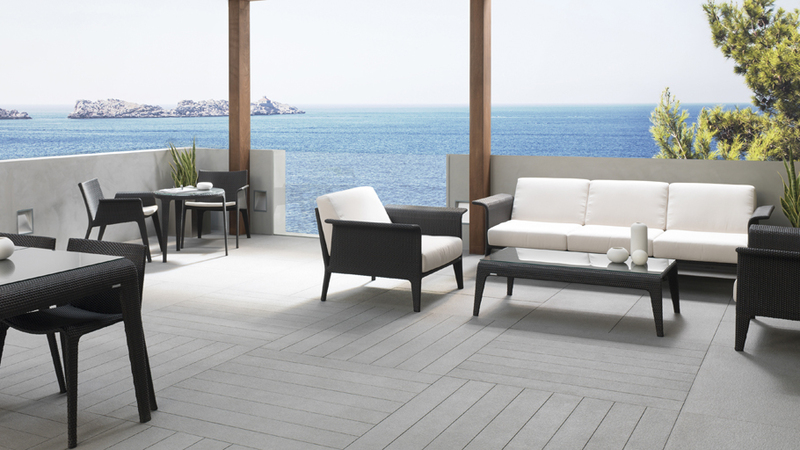 Venis, on the other hand, also shows its designs, among others highlighting the anti-slip properties of its Cascais, PAR-KER Canadá, Hampton or Foresta series. 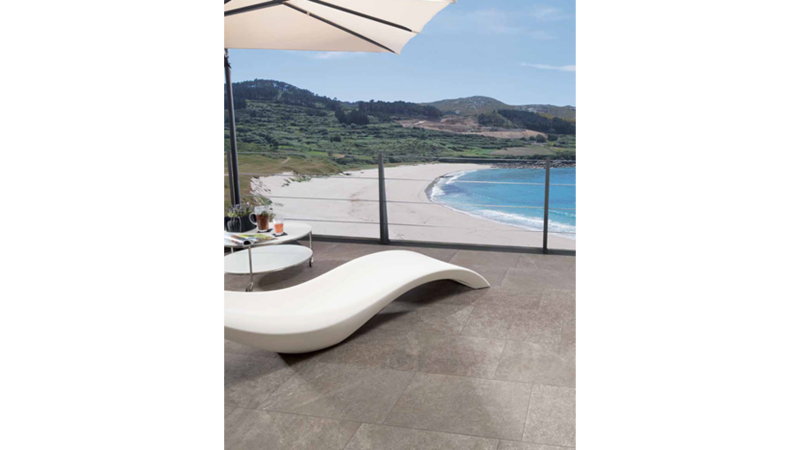 Urbatek offers its full through-body porcelain tile, and it is done by means of the large format option, which results in being ideal for large terrace areas, and what is more, it is highly resistant. Ranging from the Stuc and its sand appearance, to others such as Concrete or 20MM, outdoor flooring applicable to raised access flooring, all of them in a textured or anti-slip finish. Butech and L’Antic Colonial are two of the other firms with high quality and design alternatives for the terrace. 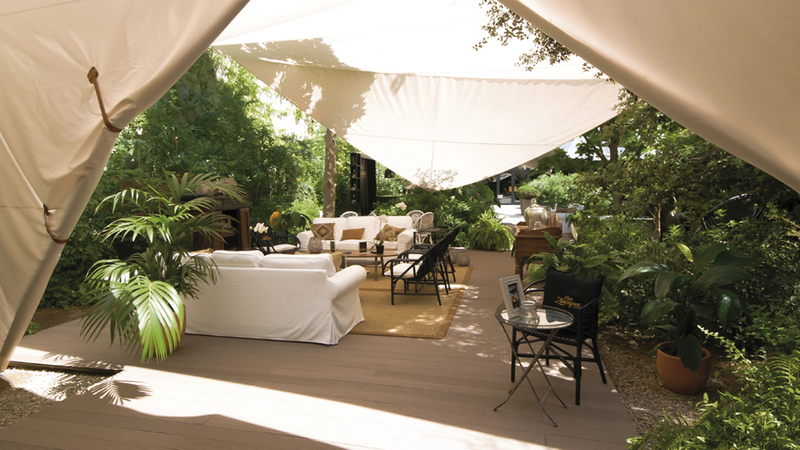 On one hand, L’Antic Colonial provides the ideal performance of its Styledeck Plus outdoor decking, whilst on the other hand, Butech, focuses on the raised access flooring for the outdoors, thus creating flat flooring on a raised space, as well as being able to hide the installations beneath the floor. The position of a summer house is something vital to bear in mind. It can be affected if it is located in either a warm or cold place, or by strong winds and even natural and artificial disasters, as well as coexisting with other buildings. It is necessary to be aware of not only the advantages which every position entails, but also of the conditions of the place where the house is specifically located regarding its habitability. All of this has an impact on the energy efficiency. Counting on a building which uses the energy available means taking a step forward regarding architecture, and also helps to optimise expenditure and promote saving. In this regard, the PORCELANOSA Grupo’s firm, Butech, proposes its innovative ventilated façade system. 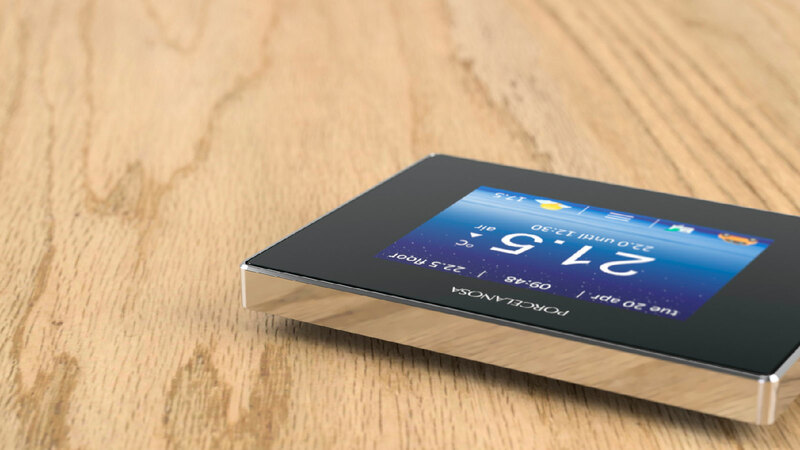 An efficient system which can reach an energy saving of up to 20% or 30%. Furthermore, its multi-layer system improves the sound insulation, a characteristic which may result in it being fairly interesting in areas with a high traffic of tourists. This building system has easy-to-install and low-maintenance properties.